A woman who meant well offered me cardboard to “keep me warm” the last night I was camping at the agility trial. I was dirty and dressed in my awesome striped PJ’s pants and mismatched top. I thanked her gratefully and suggested she leave it by the dumpster for the next person who might need it. I also learned that Grasshopper Cookies ($2 at walmart) taste as good as or better than Girl Scout Thin Mints ($4 from your local girl scout). I know this sounds too good to be true but we did a genuine taste test around the campfire. It might have been the beers, but I swear the Grasshoppers won out. And you can buy them year round!!! Woot! To top the weekend off I scored an AMAZING bottle of wine from some good friends, got to run a really cool dog (sorry about the ankle) and watched a cool MACH Run! More WOOT! 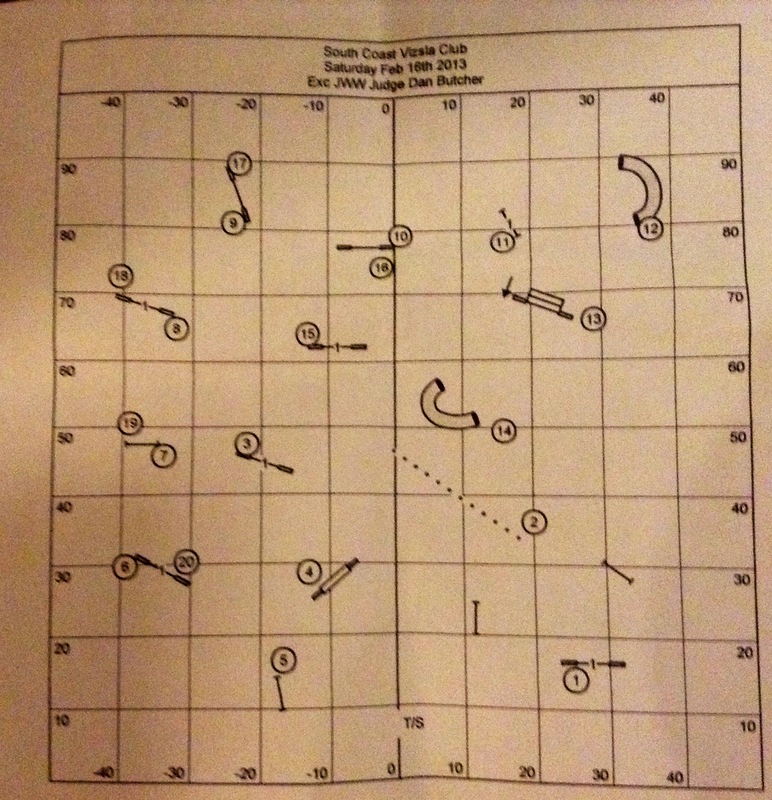 Check out these two courses by Dan Butcher from this weekend. Some neat challenges that kept people on their feet and caught a few of us off guard! My best advice to the worry warts: #wootyurlife It’s the only option when the doubt flies in, just kick it out with some heartfelt woot and even if you don’t Q you can still feel AWESOME!!! LOL! Can’t wait for next weekend; I’m running for margaritas!!!! 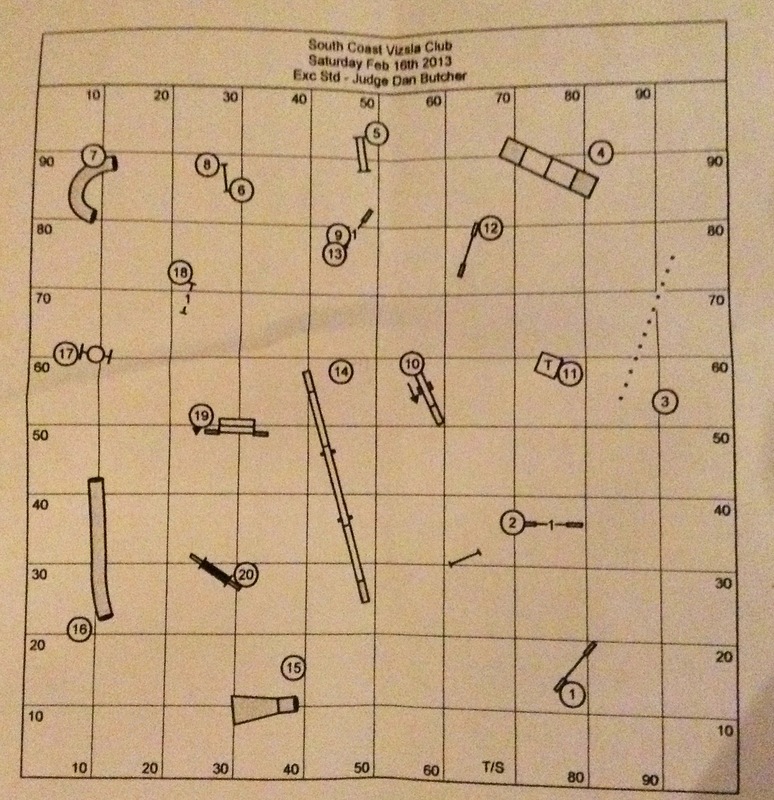 This entry was posted in Agility and tagged agility, agility course, Dan Butcher agility course, fun agility course, handling sequence, wootyurlife by ffluffy. Bookmark the permalink.